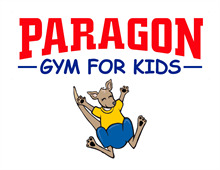 Welcome to Paragon Gym for Kids! Please complete the following registration form. All students will be charged a $50 nonrefundable fee. This fee is due each year in the month it was paid. For families with multiple students there is a $100 maximum charge for this fee. Note: This does not apply to those who only participate in birthday party and/or Open Gym. Tuition is due in full on the first of the month. Paragon offers an eight day grace period, after which a $10, per family, late fee is charged to your account. Accounts not paid in full by the 2nd class of the month will forgo their spot in the class. There is a $25 fee assessed to accounts for all returned checks or declined Credit card payments. (Please see Team Handbook for Team Tuition information) Paragon offers three ways to pay. 1. in person at the front desk by check, cash, or credit card. 2. Online at www.paragongymnastics.com. Click Enrollment/Payments at the top right corner of the home page. Type your email address on file with us and click Forgot Password. Log on with your email and follow directions to set up a password. You can now make payments through our website. 3. Over the phone by calling 540-548-4966 during normal business hours. •	Tuition for NEW students will be prorated based on their start date. •	Tuition is a monthly tuition rate and is not based on a certain number of weeks within a month. Credits or refunds will not be issued for missed classes or scheduled holiday closings. •	If a student is absent from their first session of the month AND your tuition is unpaid, we will call you to confirm further enrollment. If we do not speak to you directly, and within 48 hours of communication we have not received confirmation from you of further enrollment, your child will be dropped from the class in order to make the space available for other students. One make-up per month in a class that has room. The make-up has to be within 2 weeks after the missed class and cannot be scheduled before the class is missed. If there is not a time available for a make-up that works for you, we will offer an Open Gym pass. If there is an extended absence due to illness or injury, we will offer to credit your account for the missed time. Be sure your student arrives 5 minutes before (no earlier please) his/her scheduled class time. Please pick up your student on time. No child may be left unattended at any time. Parents are required to walk their child(ren) into the building and remain with them until they are called out by their instructor. Parents of children over the age of 3 may leave the building during the child’s class time, but are required to return prior to the end of class. There is NO PARKING in front of the building and no child is allowed to leave the building without a parent. You MUST come in to pick up your child. PARENTS MUST NOTIFY PARAGON TO DROP A STUDENT FROM CLASS. Written or verbal notification must be given to the hospitality desk prior to the last day of the child's current enrollment month. Please note: You are responsible for payment for your student's classes WHETHER OR NOT YOUR STUDENT ATTENDS CLASS until the time you notify the staff VIA WRITTEN OR VERBAL NOTICE. Please do not rely on your student to verbally let us know that he/she will no longer be attending classes. If a student stops coming to class without notification then that student's account will be charged for the additional month’s tuition. This charge will be for holding the student's place in that class instead of offering that place to one of the many on a waiting list. Boys or girls may wear tucked in T-shirts and shorts OR leotards for girls (however please no two piece leotards), all students will be barefoot on the floor. NO chewing gum or dangling jewelry. Hair should be pulled neatly and securely away from the face so that is stays up for the entire workout. Girls should not wear bows or other large hair ornaments that may cause discomfort during activity. Personal items should be left in cubby holes. Jewelry should not be worn during classes. PLEASE LEAVE JEWELRY ARTICLES AT HOME. This facility's staff will not be responsible for ANY items that may be lost or stolen. Be sure your student's personal items are marked with their name. Inconsideration of participating in the PARAGON GYMNASTICS, INC. d.b.a. PARAGON TRAINING CENTER I represent that I understand the nature of this activity and that I am qualified, in good health, and in proper physical condition to participate in such Activity. I acknowledge that if I believe event conditions are unsafe, I will immediately discontinue participation in the activity. I fully understand that this Activity involves risks of bodily injury, including permanent disability, paralysis and death, which may be caused by my own actions, or inactions, those of others participating in the event, the conditions in which the event takes place, or the negligence of the “releasees” name below; and that there may be other risks either not known to me or not readily foreseeable at this time; and I fully accept and assume all such risks and all responsibility for losses, cost, and damages I incur as a result of my participation in the Activity. I hereby release, discharge, and covenant not to sue PARAGON GYMNASTICS, INC. or any of its subsidiaries, its respective administrators, directors, agents, officers, volunteers, and employees, other participants, any sponsors, advertisers, and if applicable, owners and lessors of premises on which the Activity takes place, (each considered one of the “RELEASEES” herein) from all liability, claims, demands, losses, or damages, on my account caused or alleged to be caused in whole or in part by the negligence of the “releasees” or otherwise, including negligent rescue operations and future agree that if, despite this release, waiver of liability, and assumption of risk 1, or anyone on my behalf, makes claim against any of the Releasees, I will indemnify, save, and hold harmless each of the Releasees from any loss, liability, damage, or cost, which any may incur as the result of such a claim. I have read the RELEASE AND WAIVER OF LIABILITY, ASSUMPTION OF RISK, AND INDEMNITY AGREEMENT, understand that I have given up substantial rights by signing it and have signed it freely and without any inducement or assurance of any nature and intend it to be a complete and unconditional release of all liability to the greatest extent allowed by law and agree that if any portion of this agreement is held to be invalid the balance, notwithstanding, shall continue in full force and effect. AND I, the minor’s parent and/or legal guardian, understand the nature of the above referenced activities and the Minor’s experience and capabilities and believe the minor to be qualified to participate in such activity. I hereby release, discharge, covenant not to sue and AGREE TO INDEMNIFY AND SAVE AND HOLD HARMLESS each of the Releasees from all liability, claims, demands, loses or damages on the minor’s account caused or alleged to have been caused in whole or in part by the negligence of the Releasees or otherwise, including negligent rescue operations, and further agree that if, despite this release, I, the minor, or anyone as the minor’s behalf makes a claim against any of the above Releasees, I WILL INDEMNIFY, SAVE AND HOLD HARMLESS each of the Releasees from any litigation expenses, attorney fees, loss liability, damage, or cost any Releasees may incur as the result of any such claim. I hereby authorize (if online payment is made or auto-pay information is provided) this facility to charge my ACH draft, or credit card account. I understand that a $25 fee will be charged to my Paragon account if my ACH draft or credit card is denied for any reason. I understand that a 30 day written notice is required to terminate billing and I am responsible for payment whether or not my student attends classes until I notify this facility in writing to drop my student from class(es).